Flying Fish, the largest of New Jersey’s craft brewers, will briefly open the doors of its new Somerdale brewery to the public for a sneak preview Saturday as part of Somerdale Day festivities. The brewery likely won’t be open for regular tours for several more months, according to its website, but it will conduct tours from noon to 3 p.m. Saturday as a “welcome to the neighborhood” event. The Somerdale brewery will be about three times the size of Flying Fish’s Cherry Hill location, with fermentation tanks able to take on 150 barrels of beer over the 50 barrels in the former location. It also is expected to employ 20 to 25 more people. The new facility also is designed to be more environmentally friendly. 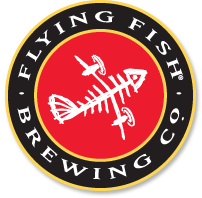 “We’ve got a lot of active solar, we’ve got energy efficient lighting, and a boiler,” Flying Fish President and founder Gene Muller told Drinks Business Review. Somerdale Day is scheduled for 10 a.m. to 4 p.m. with a classic car show, BMX stunt show, music, entertainment, food, crafters and vendors. Flying Fish also will offer a beer garden. Somerdale Day festivities will take place at Cooper Towne Center. 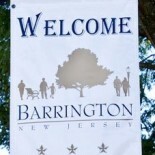 This entry was posted on September 28, 2012 by Barrington Bulletin in Events, Region and tagged flying fish, somerdale day.